Our staff drafted this letter and all of us read it to our first period classes today. I choked up right around "Most importantly". And remained more or less choked. The storm of emotions within me today is mirrored in my students and colleagues. I am stunned. Afraid. Confused. Hurt. I feel stupid and naive and small. The first stage of grief is denial, manifested in me by spastically refreshing my news feed every 8 seconds expecting different results to appear. I knew this would be the case when I woke up and didn't want to come to work today. I wasn't sure how I'd face a room full of students looking to me to help them understand. But at the same time. With them is the only place I could imagine being. Tomorrow we dive back into the literature. Unpacking the characters and conflicts and themes from all angles. Learning about ourselves and our world. The values we grapple with and the choices that make us who we are. There's honestly nowhere I'd rather be. 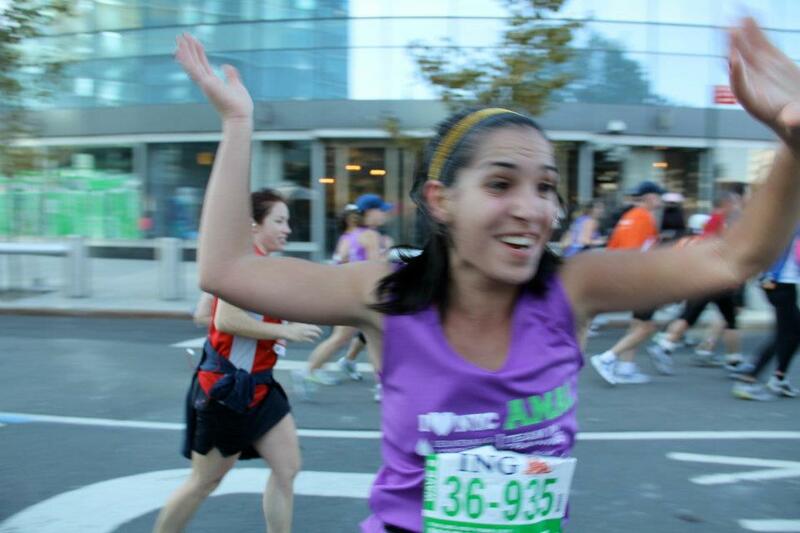 The New York City Marathon is today. When I lived there I considered it my favorite holiday. I would spend most of the day cheering and watching zillions of people triumph through such an enormous feat, and it was always the most inspiring experience. Eventually it inspired me to train and run it. I can't feasibly describe how difficult it was. The time commitment was enormous. The physical pain was real. And it was the only endeavor I had ever undergone where I was truly unsure of a successful outcome. I mean, college was really hard, but I knew I would graduate. But this? I was giving it my all and there was no guarantee that it would be enough, that I would cross that finish line. In the process I learned that I am capable of more than I ever credit myself. I met one of my best friends. My love for NYC deepened. 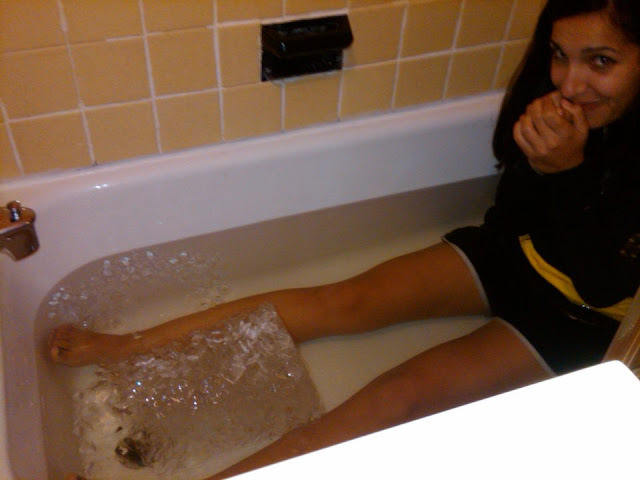 I learned about the power of a ten-minute ice bath. And most of all, I solidified a lifelong love of running. 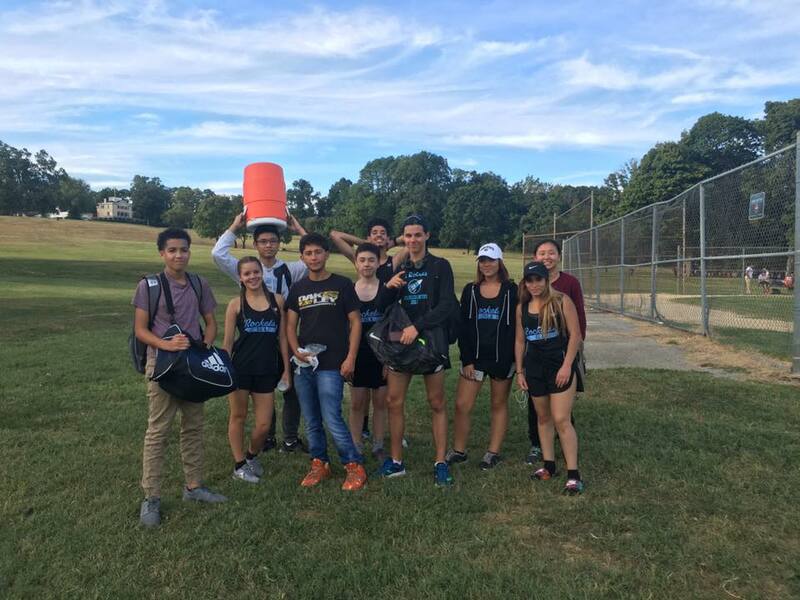 This year I coached our school's Cross Country team. - I never ran Cross Country. - I have never coached Cross Country. - I have never really coached any sport. - What is a Cross Country? I approached this the only way I know how: Show up. Bring energy. Learn a lot. Our squad is small but fierce. Every week I watched these kids pushed themselves to new levels. 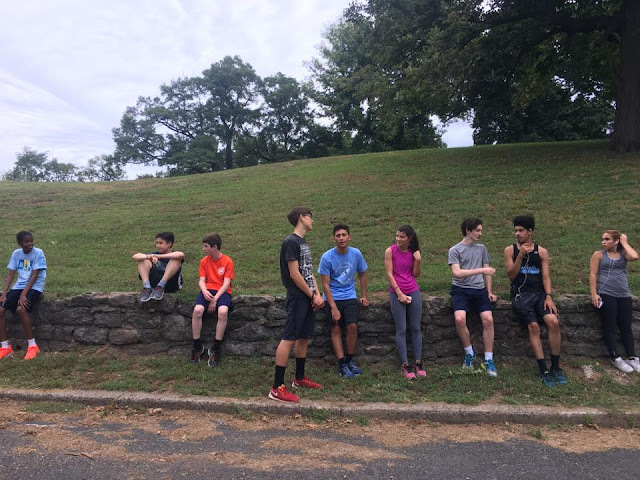 They ran hills and sprints and practiced strides and checked their form. They pushed through injuries and did funny-looking stretches in a group circle. And their personal records improved. This weekend four of them participated in the State championship meet. They pushed themselves even harder. They were inspired and intimidated by the stronger competition. And began planning for next season. I'm excited to build this program with them. To nurture their love of running and the pursuit of personal challenges. To be on their sidelines and to see how far they'll go. Riding the running high of this weekend, today I signed up for a half marathon in March. I'm going to do something I've never done for myself before: set a time goal. It's what the kids would want me to do. I rushed through the clicking on the registration page. Before I could talk myself out of training through the cold, dark winter. The twisted love continues. Here I go.